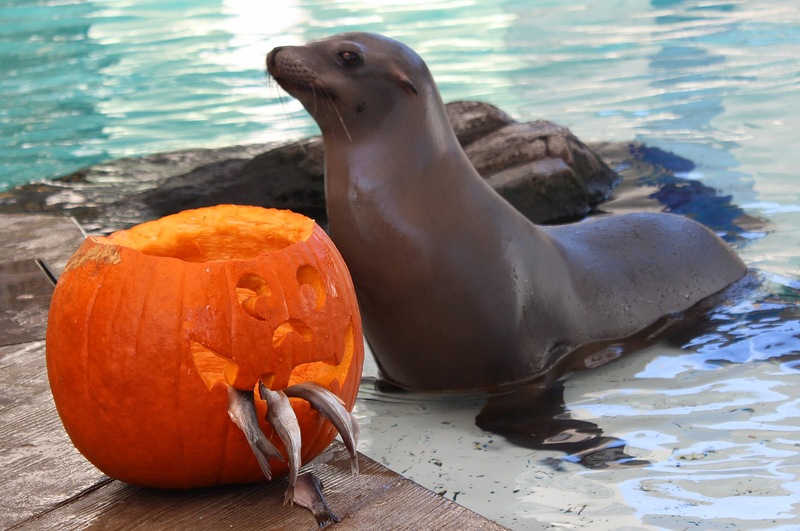 On Thursday, the trainers provided pumpkins for the seals and sea lions to explore as a festive means of enrichment. 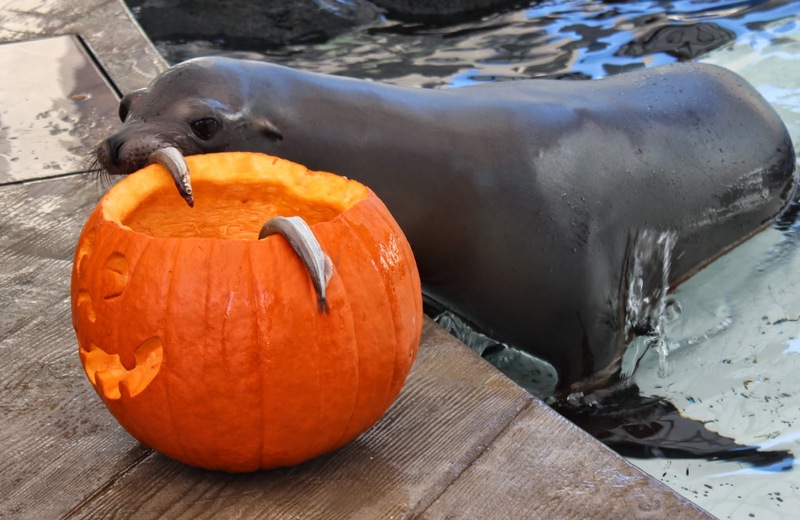 Exploring new textures and shapes and smells is a fun activity that keeps these marine mammals healthy and happy. 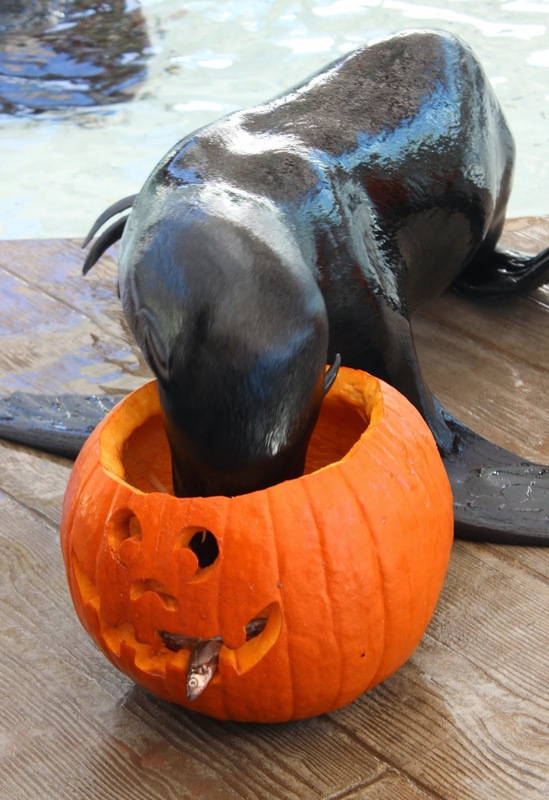 This is how the Leu the fur seal and Zoe the sea lion celebrated Halloween! and then tried to dribble the gourd into the water! 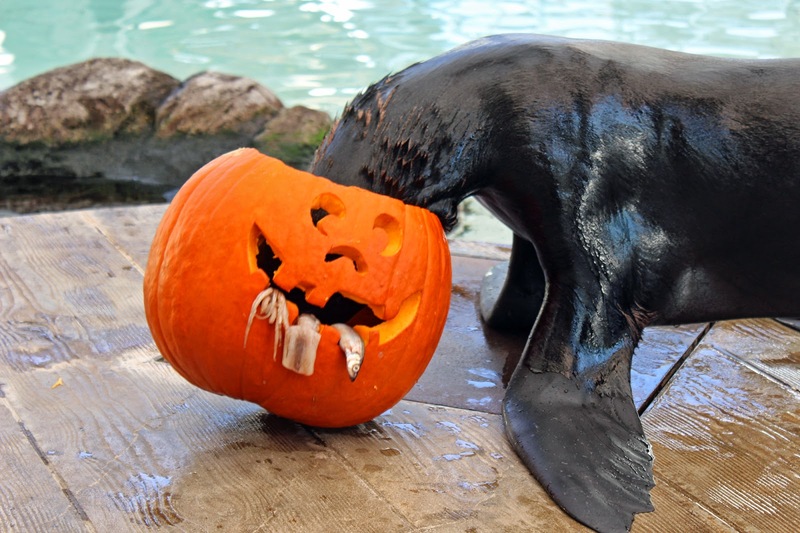 ... the pumpkin splashed into the water. 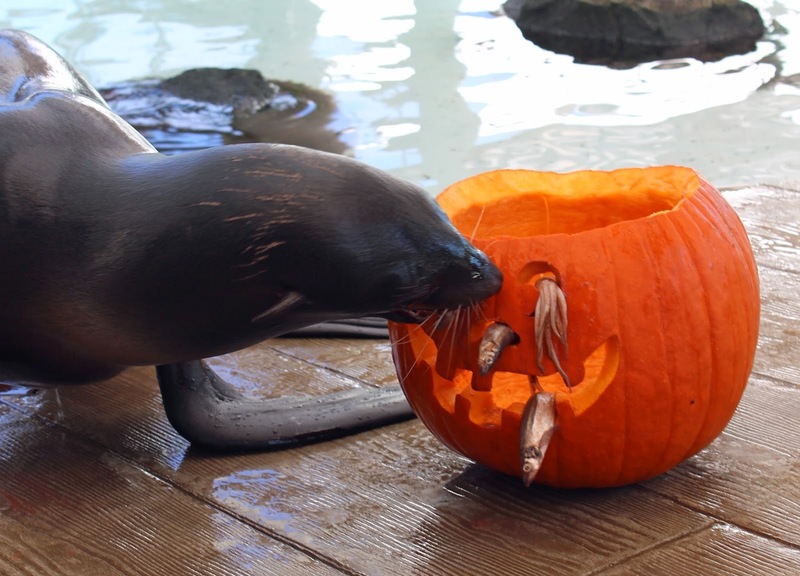 Then there were some curious pumpkin bobbers! 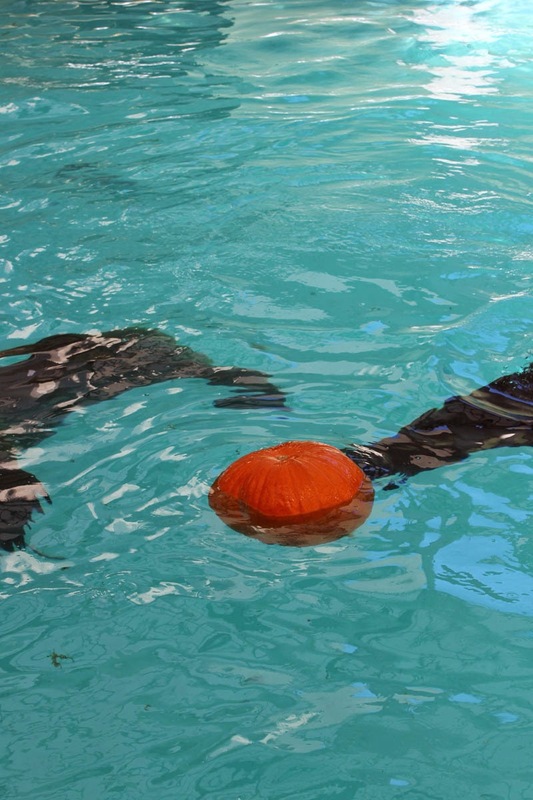 Bobbing for pumpkins was a big hit last year, too. Check it out! Here's how nature can provide some enrichment.